On Tommy Kempton's birthday, he gave his team a gift with a stellar performance in goal. 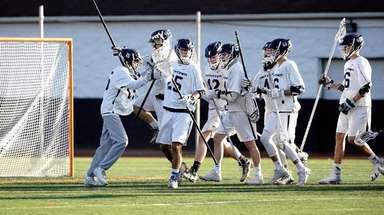 Kempton made 19 saves in his season debut, and Ryan Tierney had four goals and an assist to lead Massapequa over Garden City, 6-3, Thursday in non-league boys lacrosse. 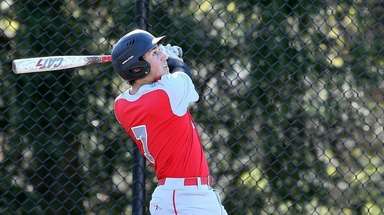 "I was very happy when Coach told me it was my chance to win us this game,'' Kempton said. "It was a nice little birthday gift. 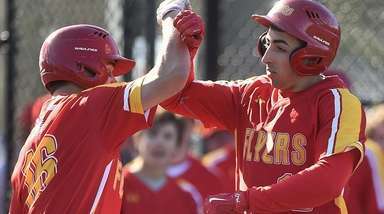 Garden City and Chaminade, which also lost to the Chiefs (5-0) this year, were the only teams to beat Massapequa during its run to the Class A state championship last season. 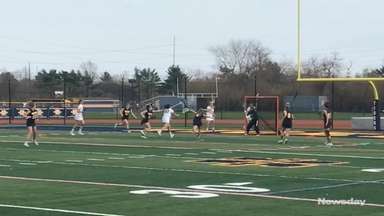 That was especially true in the first quarter, when Garden City controlled possession and Kempton made nine saves to keep the Trojans (2-2) from scoring. The Trojans' Sam Luccchesi, who made 14 saves, also got off to a strong start. Tierney opened the scoring with a mid-range shot with 6:22 left in the first. 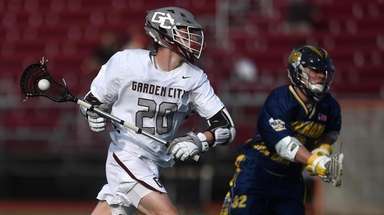 Garden City equalized with Luke McDaid's goal with 10:05 remaining in the second quarter, but seven seconds later, Phil Brady scored off the ensuing faceoff to put Massapequa back in front. Tierney then took over on the offensive end, and he had a hand in all four Massapequa goals during a 4-1 run. He assisted on Carter Hawthorne's goal with 1:05 to go in the second quarter, and after JP Basile scored for Garden City in the third, Tierney answered with two goals later in the quarter and one with 5:27 left in the fourth. Tierney leads the team with 17 goals, to go along with eight assists. A late goal by Garden City's Kyle Brattan made it 6-3, but once the clock hit zero, the Chiefs players dashed to the crease to celebrate with Kempton. Not a bad way to start your birthday.